Home > Mutual Funds > Higher Returns From Mutual Fund Investment : 5 Investment Mantra's ..! Higher Returns From Mutual Fund Investment : 5 Investment Mantra's ..! You might be investing in mutual funds for some time now. However, the possibility of underperformance of your scheme may be worrying you. This issue need to be addressed to ensure peace of mind. I have been analyzing mutual funds for last 15 years and found that a few tips can help in getting higher returns in mutual funds. Even if you are investing in top performing mutual funds schemes, sometimes you may not be getting good returns. How to get superior returns in mutual fund investments? How to ensure that you reach your financial goal by investing in mutual fund schemes. (1) Invest based on your risk appetite..! I have seen many investors who invest in mid-cap funds without even knowing they are risky. When the stock market crashes, these investors would book losses and come out of such mutual funds schemes. If you are a high risk investor, invest in large cap and mid-cap funds. If you are moderate to low risk taker, invest in large cap funds and balanced funds. If you are a low risk taker, just invest in debt mutual funds. (2) Invest in top performing mutual funds..! This is your second step in mutual fund investment planning. Analyze various mutual funds based on your risk appetite. Check what mutual fund experts say about those funds. Don’t get dragged by brokers who want to sell funds to get higher commissions. Do your homework, if satisfied, start investing in mutual funds. Do not care even if it takes a couple of months to analyze. Many of us invest in mutual funds in a lump sum. While this is a good idea to invest in lump sum when the markets are taking deep correction, it is not always wise to go for a lump sum. Mutual funds provide good returns if you invest through Systematic Investment Plan (SIP). A small investment of Rs. 1,000 per month through SIP for 20 years can turn to Rs. 10 Lakh assuming a 12% annualized return. Similarly, if you can invest Rs. 5,000 per month through SIP for 20 years, you can get Rs. 50 Lakh. These small investments can make you rich in the long run. (4) Invest in diversified portfolio..! Many individuals invest in either mid-cap funds or large cap funds or balanced funds. These funds would perform well based on various market cycles. If stock markets are in a bull - run, mid-cap / small cap funds perform extremely well, even though large cap funds provide good returns. However, during the stock market crash, large cap funds provide some support. Mid-cap or small cap stocks tumble quickly in bad time. Hence, you should diversify your portfolio across large cap, mid-cap, small cap and balanced funds. There is no hard and fast rule, about, portfolio diversification and it depends on the individual investor. You can consider investing same amount in each of these segments. (5) Invest for long term..! Mutual funds tend to perform better in the long run of over 10 years. If you have any plans to take out your money before that you should re-think about your decision of investing in mutual funds. Invest your money in mutual funds which you don’t need for the next 8 to 10 years. Example Banking funds have given 15% annualized returns for over 10 years, however, they gave just 5% annualized returns in last 5 years. Mr. Suresh KP is Founder of Myinvestmentideas.com. He have been studying financial markets in the past 15 years. He love doing analysis on any new financial product that come into market and provide his views. He have written many articles which focusses on mutual funds (MFs), IPO reviews, tax free bonds, fixed income products, insurance plan products etc. 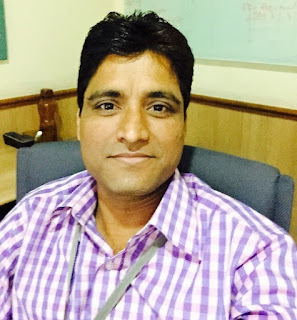 In case of any query, you can reach him at suresh@myinvestmentideas.com and He would be glad to help you out.